Whether you live on a 100-acre spread, tend a cozy little garden with chickens in the backyard, or nurture your urban homestead from a container garden on the porch, we share your connection to the land. Learn all about homesteading. Animal Assisted Therapy: Can Your Animals Help Others? Homesteading is a lifestyle that values self-sufficiency and reliance on land. At the center of this lifestyle is growing and preparing your own food for a healthy, balanced life. Learn more about homesteading and the type of life it can offer your family. On Molly Green, you’ll learn about the benefits of homesteading, as well as techniques to start or improve your homestead. The homesteading categories below share knowledge about self-sufficiency, gardening, animals, and DIY. Learn how to become self-sufficient with gardening and raising livestock, both important skills for life on the homestead. The self-sufficiency articles here will give you step by step instructions, offer insider tips, and point to resources around the web. After reading, you’ll be able to grow and preserve food, independently fix home issues, and provide for your family. 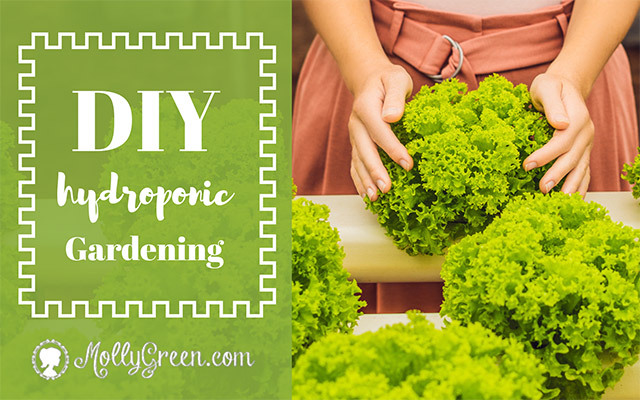 Maintaining a garden is the most important aspect of proper homesteading. Planning, seed selection, planting, and picking are all crucial steps to successful food cultivation. Read Molly Green’s gardening posts and learn from other homesteaders who maintain gardens in climates across the United States. Raising livestock for meat, milk, eggs, or wool ensures balanced nutrition, self-sufficiency, and an emphasis on the human-animal connection. Similarly, hunting for wild game is a noble effort that can reap large rewards for your homestead. However, all things animal requires knowledge and resources so if you’re interested in raising livestock or hunting wild game (or both), browse the information on Molly Green. Get inspired by DIY projects and money saving tips from homesteaders all over the United States and Canada. The people who contribute to Molly Green have a vast amount of knowledge and are ready to share it with you! Homesteading can seem overwhelming if you’re new, but you can quickly learn the ins and outs with Molly Green and our team of homesteaders! Explore the homesteading articles below and become more knowledgeable, reliable, and self-sufficient. Start your own bee hive with James Duke’s helpful information and his list of necessary items. Animal assisted therapy offers many benefits to wounded warriors, seniors and children with autism. Your animal may help others. It’s easy to get started by enrolling your pet into programs such as K9s for Warriors and Therapy Dogs International. Uprooting your family can be difficult, but sometimes well worth the challenges that have yet to come. Read this article to find out why my family and I decided to move our own homestead to the Missouri Ozarks and how it has benefited us in our lives. Join us on our journey! Homestead lifestyle not meshing well with your children? Read on for tips in identifying the issue and playing to your child’s homesteading strengths! If you raise goats and aren’t realizing the benefits associated with rotational grazing then you need to read this article! Rotational grazing is absolutely essential for the wellness of your plant and your herd. Want to learn how to make stylish and fun wooden signs? In this article, we not only walk you through an easy, step-by-step process of how to make wooden signs, we teach you how to stencil on wood! Add that extra bit of flair to your garden or anywhere that could use some DIY inspiration!